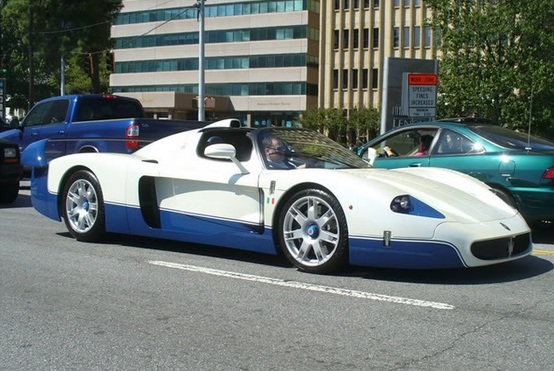 But most people don’t realize that Maserati’s “halo car” is little more than a rebodied Ferrari Enzo. The two vehicles ride on the same mid-engine chassis, use the same 6.0-liter V12, and even share a transmission, which Maserati renamed “CambioCorsa” instead of Ferrari’s “F1.” To me, this is reminiscent of Chevrolet’s “MyLink” versus Buick’s “IntelliLink,” though admittedly the price points are rather different. So the MC12 isn’t a strict rebadge, but you have to admit it’s still rather absurd. Rebadging is usually done in conjunction with marketing to convince the less intelligent among us that a Ford really is different from a Mercury. But the MC12/Enzo mishmash is proof that there isn’t a single segment immune to the wiles of a clever marketing department and an automaker eager to save some cash. Unlike most rebadges, however, this is one I can live with. Both the Enzo and the MC12 are tremendously cool, as you’d expect them to be at more than $1 million. And they’re both highly distinctive on the road. The Enzo, for instance, looks like it’s ready to attack, while the MC12 looks like a fairly large relief map of snow-covered mountains. 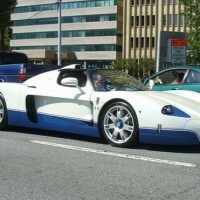 In all seriousness, I will say this: I once saw an MC12 on the street. And while it was big and quite certainly overstyled, it was certainly a beautiful car – no matter what was underneath. I personally have always liked the MC12 more than the Enzo. Even though I love both cars, and both are quite awesome. I have seen that MC12 in Buckhead on a few occasions. I am glad to see the owner actually drives the car instead of letting it be another garage queen. Sadly, he didn’t have it long before he sold it out of state. I’ve preferred the MC12 because of its defeatable traction control and because it was a faster car around the Top Gear Test Track. Also, I prefer its styling over that of the Enzo and the fact that it’s a targa as well seals the deal for me. The Ferrari’s engine uses a conventional timing belt (with a dismayingly short replacement interval) while the more track oriented Maser uses metal timing gears. The noise is distinctive.